While Oregon has relatively gun-friendly laws on the books, there are a few laws you’ll have to keep in mind when it comes to handguns. Actually purchasing a firearm isn’t too big of a hassle in Oregon, when it comes to handguns, especially compared to states like California or New York. You can’t just walk right in and grab a gun off the shelf, but it’s almost as easy. Go through a background check when purchasing a firearm from a firearms dealer. Not too bad, right? Now here’s where things get tricky. If you make a purchase from your local gun store, which would be a licensed firearms dealer, or a pawnbroker, you’ll have to go through a background check. The background check is done by the Department of State Police of Oregon, rather than the FBI database. That means it should not be as busy as a standard FBI background check. The way to get around this background check is to buy your handgun from a private seller, as long as it is not at a gun show. The problem with that, however, is that you can’t pick out a shiny new 1911, and may have to settle for someone’s used Hi-Point. Gross. Even if you meet the requirements for buying a handgun, there are still some situations where you would be prohibited from buying a firearm. Are free on any type of pretrial release for a felony. Hopefully none of you meet those requirements, and the only thing you’ll need to worry about is which handgun you want to buy! While you’re out buying that new handgun, you might also want to pick up a long gun too. The requirements to buy long guns are similar to those for handguns, but actually less restrictive. Just like with handguns, if you can buy the long gun through a private seller, then you can avoid the background check steps altogether. Of course, the same situations that would prohibit you from buying and owning a handgun would also apply here to long guns. Good news! None of the laws on buying handguns or long guns apply to antique or replica firearms! But you’ll need to make sure the gun you want to buy actually qualifies as an antique or replica before you head out to buy it. An antique firearm is a firearm made before 1899, or any replica of a gun made before 1899, that is not designed or redesigned for fixed ammunition, or uses ammunition that is no longer made in the US and not readily available through normal purchase. If you need to go to a specialty dealer in order to buy ammunition for that flintlock replica, you should be in the clear. To be even safer, go buy an actual flintlock made before 1899 and you’ll have no problems at all! Don’t worry kids! Even if you don’t meet the age requirement, you can still temporarily use a firearm in some situations. A parent, guardian, or some other person who has permission from a parent or guardian can lend you a shotgun or rifle for the purposes of hunting and target shooting. That means you can take a course on firearms safety or go hunting with your parents, or anyone with permission from your parents, even before you are old enough to buy a rifle yourself. So be nice to your parents! 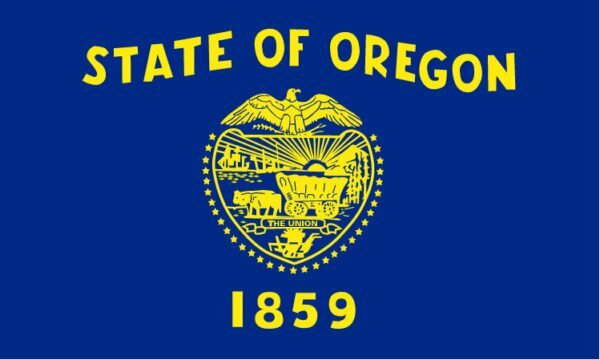 Being a gun-friendly state, Oregon allows for open carry of firearms. Open carry does not mean you have to hold the firearm in your hands so everyone can see. If you have your handgun in a holster, as long as the holster is clearly visible, you are considered to be carrying openly. If you’d rather tuck your handgun inside your waistband covered by a jacket, you’ll need to get a concealed carry permit to do that. There are a few steps that are involved in getting a CCW permit, and some additional laws to watch out for. Anyone interested in carrying concealed should hop over to our Oregon CCW section once you’re done here and learn all about it! Of course, there are some situations where you can carry concealed and not need a CCW permit. Licensed hunters or fishermen, while actually hunting or fishing, or going to and from a hunting or fishing trip. Because open carry is allowed, when you are transporting your gun, and don’t fall into any of the categories where concealed carry is allowed, you can have your firearm in the vehicle, as long as it is openly visible. Leaving the gun on the passenger seat isn’t the safest way to go about it, but maybe a gun rack in the center console would do the trick while keeping the firearm visible. You need to ignore all those rules about transporting firearms when it comes to snowmobiles. It is illegal to have a loaded firearm on a snowmobile. You will need to keep your guns unloaded when riding around, or you’ll have to leave the gun at home. Hopefully you will only ever have to use your firearms at the shooting range and while hunting. In case you ever need to defend yourself though, Oregon does have laws on use of deadly force in self-defense situations. Under what is commonly known as the “Castle Doctrine”, Oregon allows for use of deadly force if you reasonably believe it is necessary to prevent arson or a felony by force and violence by someone who has trespassed onto your property. The key thing to keep in mind is that you cannot use deadly force to defend your property. The use of deadly force is allowed to prevent arson or harm to yourself or others. If someone breaks into your car while you’re asleep in the bedroom, you cannot shoot at them. If they are breaking into your bedroom while you’re sleeping, then defend yourself however you need to. Even when you’re not at home, Oregon also has what is called the “Stand Your Ground” law. Using or about to use deadly force against someone. Unlike other states, you do not have a duty to retreat when faced with a threat of deadly physical force. But keep in mind, just because you do not have a duty to retreat does not mean you must use deadly force in every situation, even if you are justified in doing so. Sometimes, it may be safer for you and others to safely retreat than to engage the threat. And that’s it! You’ve now got all you need to know about the gun laws of Oregon! Oregon does not have any specific laws on storing firearms, but for those of you with children, or just want to keep your gun collection locked away when you’re out of the house, a strong safe or inexpensive gun cabinet will do just fine.